PROTECTING YOUR FAMILY AND PROPERTY, 24/7. ACME installs monitored home security systems, including burglar alarms and smoke detectors that are easy to use AND affordable! 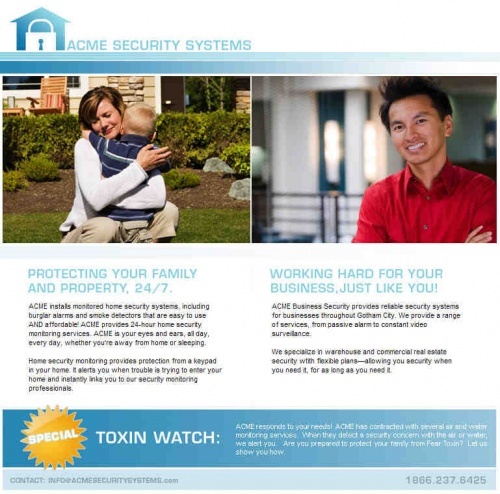 ACME provides 24-hour home security monitoring services. ACME is your eyes and ears, all day, every day, whether you’re away from home or sleeping. Home security monitoring provides protection from a keypad in your home. It alerts you when trouble is trying to enter your home and instantly links you to our security monitoring professionals. WORKING HARD FOR YOUR BUSINESS, JUST LIKE YOU! 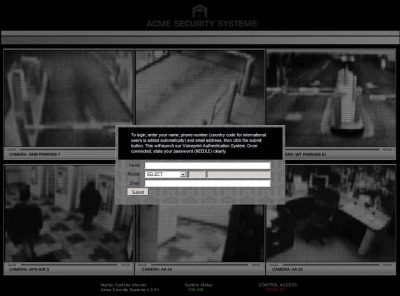 ACME Business Security provides reliable security systems for businesses throughout Gotham City. We provide a range of services, from passive alarm to constant video surveillance. We specialize in warehouse and commercial real estate security wtith flexible plans—allowing you security when you need it, for as long as you need it. ACME responds to your needs! ACME has contracted with several air and water monitoring services. When they detect a security concern with the air or water, we alert you. Are you prepared to protect your family from Fear Toxin? Let us show you how. Thank you for contacting Acme Security Services. 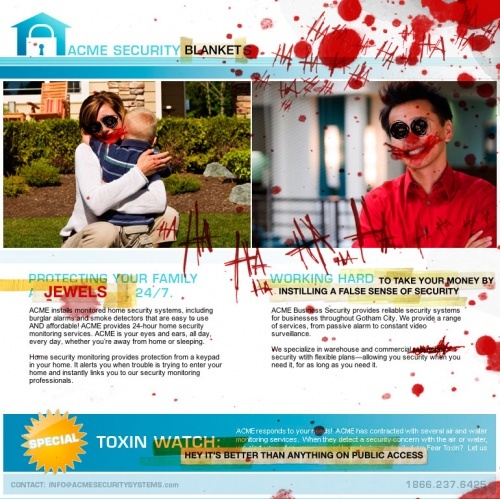 Acme is committed to protecting your family 24/7. We've received a record number of inquiries, but we will be getting back to you as soon as possible. In the meantime, please check our website http://www.acmesecuritysystems.com for simple and inexpensive ways to protect your property. After the end of the countdown on Whysoserious.com/Overture, Acmesecuritysystems.com was "Jokerized." 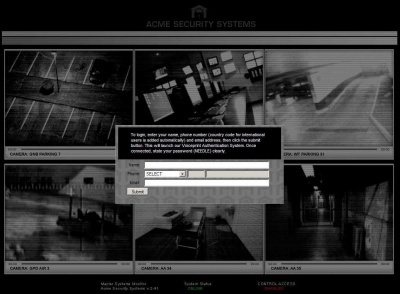 The background of the home page appears to be a bank of security screens, with camera views at Arkham Asylum, Gotham Police Department, Gotham National Bank, and Wayne Tower. The participant enters their name, phone number (no dashes or parentheses), and email address, then is called immediately upon submission of the information. Woman: Hello, this is the Acme Security Systems voice print identification system, please say the password clearly. Gordon: This is Jim Gordon, major crimes, Gotham Police Department. Not the voice you were expecting...huh? We have your name. We have your number. We have your computer's IP address. So what I'm saying is, we have you. Consider yourself the Gotham Police Department's newest recruit. You see, this works one of two ways, either you're going to jail for conspiracy in a criminal enterprise, or, you'll work for me. We'll be in touch. Oh, have a great day! A high quality mp3 of the call can be found here. 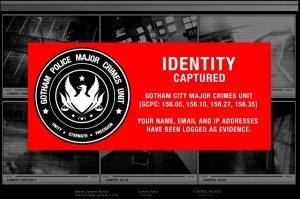 Upon ending the phone call, a notice from the Gotham Police Department appears on screen, verifying what Gordon has just stated on the phone. The collection of security images on the page have changed. This page was last modified 18:07, 24 April 2012.